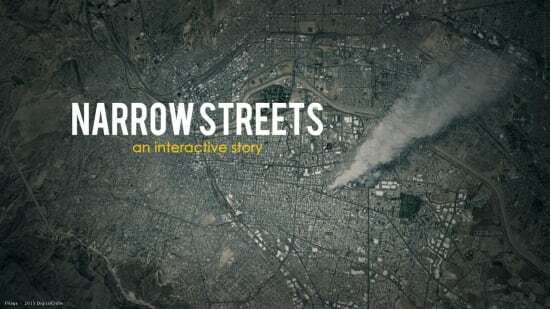 Narrow Streets is an interactive short film that tells the story of a kidnapping gone wrong in Ciudad Juarez, Mexico. Hours after a factory collapse, the American businessman sent to clean up this PR disaster is ambushed. In the subsequent action, three characters take on pivotal roles: a local policewoman, the factory manager, and a low-level gang member. You are given the choice to follow one of these three characters, or switch between them, as the story unfolds.